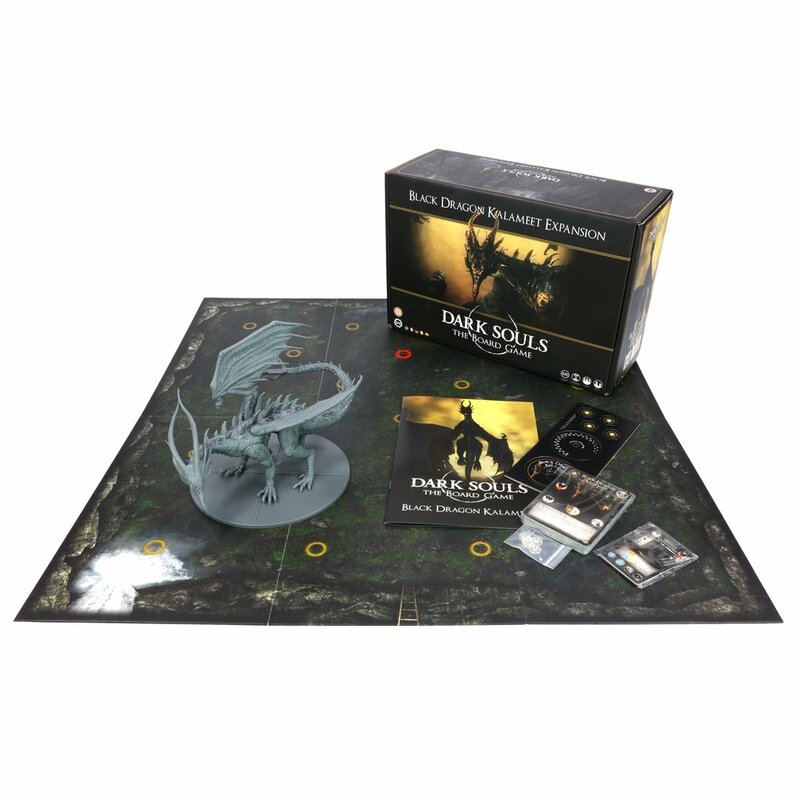 This Dark Souls: The Board Game expansion features a terrifying new mega boss in the form of Black Dragon Kalameet. Included are a new gigantic mega boss tile, deadly new boss behaviours, cards for the brand-new Strafe attacks, tokens for the new Calamity condition, and unique new boss treasures. The Black Dragon Kalameet Expansion also adds new encounter cards which provide larger battles than ever before in Dark Souls™: The Board Game. The tremendous scale of these encounters creates a whole new level of peril for you and your party. Are you up to the challenge?